22-year-old David from the Czech Republic has won his court case. The court ordered the local authority to provide David with social services. Thousands of people with disabilities in the country can use the judgment to demand the services they need. David Vratislav and family. Source: family photo. 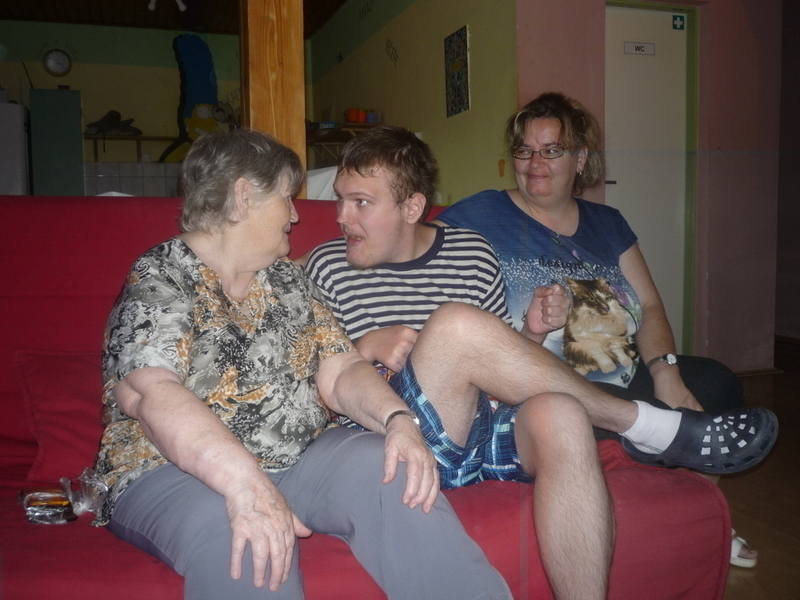 David Vratislav is a young man with autism and an intellectual disability. During his childhood his mother (who also has a disability) and his grandmother looked after him in their 2-bedroom flat. In the last few years his mother and grandmother increasingly found it difficult to care for David or take him outside, so he spent most of his time inside. David needs a personal assistant to help him with his life, so the family asked the local authority to provide for one. The local authority said no. The family then fought to get the support David needed so they asked a local charity “FORUM” for help. With MDAC’s support they sued the local authority in a regional court. The court recently came out with its judgment and said that the local authority must provide services to David. This is an important case because for the first time in the Czech Republic, a person with a disability has successfully sued a local authority for failing to provide supports. David and thousands of people in similar situations can now demand the services they need and are entitled to compensation if they do not receive them. The regional court’s decision built on a 2014 Supreme Court case (also litigated by MDAC) that guaranteed a right to individualised social services for people with disabilities. In David’s case, the regional court went further by saying the local authority must provide services for people with complex needs in a reasonable time frame. This means that the local authority must give David the supports he needs. His mother and grandmother no longer have to worry about struggling to care for him. The Czech Republic ratified the UN Convention on the Rights of Persons with Disabilities in 2009. Article 19 of this Convention says that everyone has the right to live and be included in the community. MDAC argued this provision before the regional court. Last year the UN Committee on the Rights of Persons with Disabilities recommended that the Czech government roll out community-based services for people with disabilities. For interviews with Forum, contact Monika Chromečková at monika.chromeckova@gmail.com. For interviews with MDAC, contact Ann Campbell at MDAC +36 1413 2730 or mdac@mdac.org.